Meet George – He is in his late 30s. He has been in his current position for almost four years. He was very enthusiastic about his job during the first couple of years. He doesn’t feel challenged anymore. At the same time he can’t see any opportunities for promotion. He has lost interest and the whole situation has an negative impact on his mood. He has been thinking of a change for some time now. When I asked him what he would like to do in the future, George responded “This is the problem. I don’t know.” When I asked him what his strengths are, he stated a long list of weaknesses. The only thing he was clear about is that he can’t afford to take a pay cut to start something new. Like many people, George is dissatisfied with his current job. He wants to make a change but he doesn’t really know what direction to take. Don’t run away. If you are unhappy with what you do at the moment, figure out what is wrong and fix it before you decide about your next steps (e.g. build your confidence, act on constructive feedback, repair broken working relationships). Running away will not solve the problems. Similar ones may appear again at your next job. Find out what your strengths are. This step is very important. Even if you think you know them, take the opportunity to reflect once more. Observe how you deal with situations and think what you are doing well and what you need to improve. You may want to do some psychometric tests (search online to find personality tests that fit your needs). Some simple things like asking friends and colleagues for feedback might also give you a different perspective. If you can’t articulate what you are good at, how are you going to convince others when you will be looking for another job? simple; our interests and career aspirations change over time. What seemed appealing in our 20s might not be in our 30s. It is possible to have multiple careers during our working life. 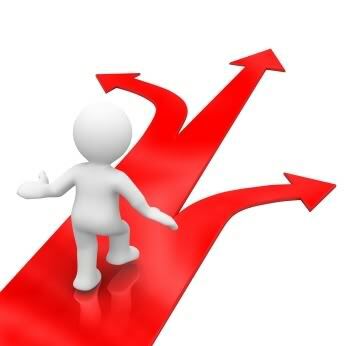 Make sure thought that you are the one who defines your career direction. Remember: if you don’t take control of it, nobody else will. Try things out and learn. When career paths look appealing, test them before you make any decisions. Talk to people who work in that field, volunteer for short projects, take relevant courses if specific skills are needed, etc. Experiment first. Then reflect whether you still want to pursue this path. A step-wise transition might work better than a drastic change. Make a career plan. When you have clarity on your career goals, make a realistic plan. Are there gaps in your skills and experience you need to address? Do you need to retrain? Can you do an internship? Make sure you ask potential employers what they are looking for in a candidate. If you plan to set up your own business, develop a business plan and talk to other entrepreneurs who have gone through this journey. Develop a network. Relationships matter to your career. Invest time in developing and strengthening relationships in the sector you want to move in. They can be a key source of information and support. Plan your finances. “Do what you love and money will follow’ is not a good advice. In case you plan a significant career transition, start saving as much money as you can. Things will be easier when you don’t have to worry for the everyday needs at least for a period of time. Also, do you have a Plan B in case Plan A doesn’t work out? Manage your emotions. Be prepared that fear and self-doubt will creep in at some point. Fear usually comes due to the unknown. At the same time, there is no risk-free career plan. There will always be risk involved irrespective whether you stay at your current job, you change companies or you decide to do something different. The best way is to do your research, explore the available options, understand their trade-offs and then make informed decisions. The bottom line: If you are unhappy with your job, do something about it. Don’t expect things to happen to you. Make them happen. Do nothing is not a risk-free option anymore. Have you gone through this type of experience? If yes, what worked for you? Korina Karampela is the founder of b4iapply, author of 2 books, consultant and speaker. She has worked in senior positions in the pharmaceutical industry for 12 years and has an MBA from MIT Sloan. Her b4iapply blog is recommended by The Guardian for professional development. This article has also been published in Huffington Post. This entry was posted in b4iapply for a job, Career Advice, Coaching, Professional development and tagged Do you consider a career change?, Happiness, How to reinvent yourself, professional development, Reinvention. Bookmark the permalink.